Soft neoprene pocket keeps glasses/phones high and dry while wading. 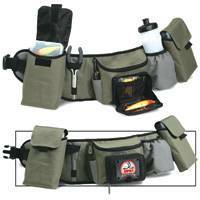 Velcro flap secures items and keeps them safe from rain or moisture. 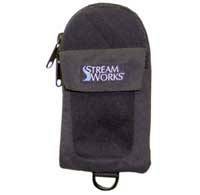 Attaches securely to any width suspender strap. Low profile design; doesn't interfere with casting. 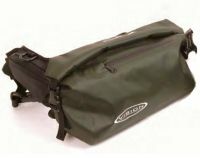 A multi-pocketed band ideal for the roving angler targeting carp, pike, chub or barbel. 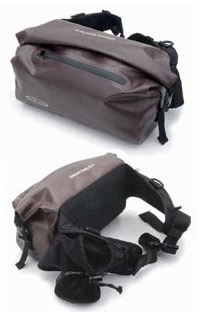 Featuring zipped and open-top pockets, two detachable velcro closure pockets, inner mesh pockets, and elasticated loops for scissors or forceps. 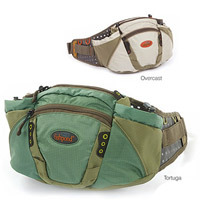 The wide, padded belt provides complete wearer comfort even with the pockets fully loaded.  Hip pack with an integrated, water repellent backpack.  Super comfortable and ergonomic hip belt doubles as back support. 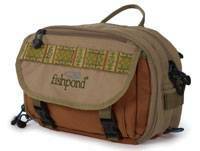  One 3600 sized tackle box included.